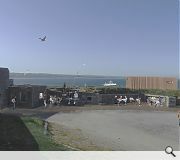 Greyhope Bay have filed plans top erect a temporary viewing platform at Torry Battery, Aberdeen, as a precursor to a £10m permanent marine centre at the historic beauty spot. 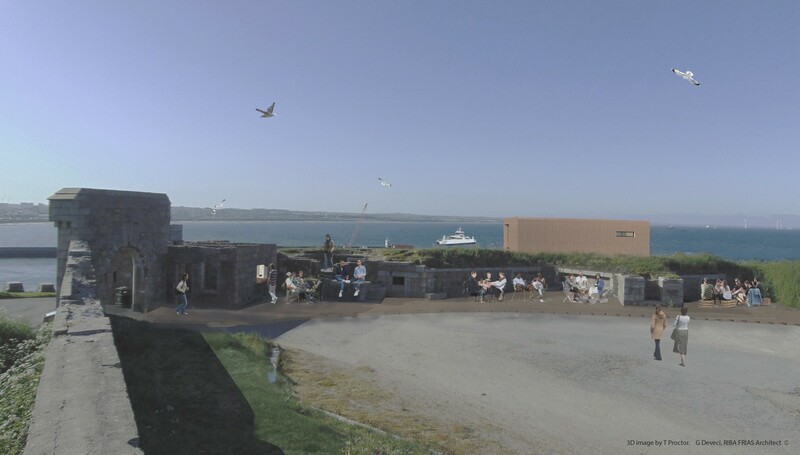 The charity is seeking to enhance the appeal of the fortified ancient monument by offering a range of new facilities to visitors as well as a space for dolphin and seascape viewing. 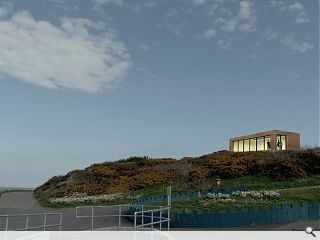 In a design statement Gokay Deveci, professor of architecture at Robert Gordon University, wrote: “The viewing platform will be created from two shipping containers, cladded with Scottish larch wood. Using a pre-existing structure delivers an affordable and fully recyclable unit with minimum impact on site and a ready-made canvas to build a unique window to the sea. The self-contained space will also include an exhibition hall, café and toilets, all subject to the support of planners. It is believed the project can be delivered by June 2019. A needless obstruction to a good view! And this is coming from the school of architecture!....cant even put together decent images to sell the scheme. As a former student at SSSA I am embarrassed. fye wid yi baither coverin ah coupla ah auld scrap yard kintainers wi timmer fin yi cood pint on a widin effect? yi coodni tell until yi wir close up bsides them torry loons will hae thi wid ripped aff in nae time and mak a gran bonfire.